If your dryer isn't producing any heat but seems to be working fine in every other way, it's likely that the heating element has gone bad. The details vary among different dryer models, but the principle is the same: A string of coiled metal wire, similar to the heating element in a toaster, is positioned near the rotating drum, glowing red and heating up the drum as it turns. If the coiled wire develops a break anywhere, the entire element will stop working. Replacement coils are inexpensive and easily found online by searching on the model name of your dryer. One style of heating element. Unplug the dryer and access the heating element. Refer to the owner's manual to determine the best way to get to it. Generally, the heating element is at the back of the dryer, but on some models, it will be necessary to remove the front of the appliance and then the circular drum to reach it. Remove the heating coil, using the screwdriver and pliers. On some models, the coil will be strung in a wide circle or parallel lines across the inside back of the dryer, behind the rotating drum. On others, it will be in a tubular configuration inside a metal container near the drum. Either way, there are usually just a few screws or metal clips holding it in. String the new coil back into the same position as the old one, using the same screws or clips that held the old one in place. Reassemble the dryer and plug it in. Heating elements are extremely fragile, so be very careful handling the new coil. 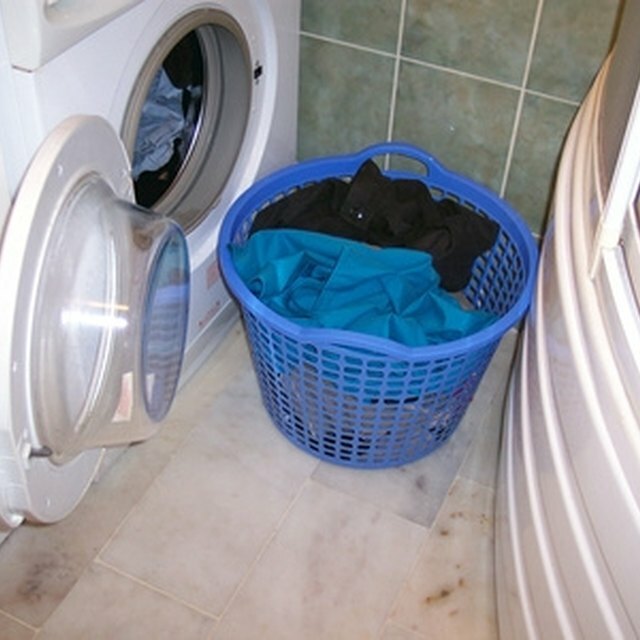 Make sure the dryer is unplugged anytime you work on the inside of it.